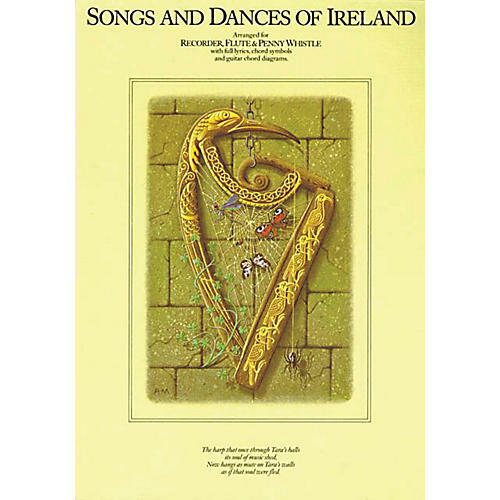 A collection of songs from Ireland's rich heritage arranged for voice and recorder or other C instruments. Features Londonderry Air, Cockles and Mussels and Begorrah. Complete contents: Begorrah · Believe Me If All Endearing Young Charms · Cockles and Mussels · Come Back to Erin · Dear Little Shamrock · Dear Old Donegal · Eileen Alannah · Finnegans Wake · Forty Shades of Green · Galway Bay · Garden Where the Praties Grow · Gypsy Rover · I'll Take You Home Again, Kathleen · Irish Rover · Killarney · Last Rose of Summer · Let Him Go, Let Him Tarry · Limerick Is Beautiful · Londonderry Air · Macnamara's Band · Master McGrath · Mick McGilligan's Ball · Mick McGuire · My Wild Irish Rose · O'Rafferty's Motor Car · Patsy Fagan (The Dacent Irish Boy) · Phil the Fluter · Rose of Tralee · Slattery's Mounted Fut · Spinning Wheel · St. Patrick Was a Gentleman · The Black Velvet Band · The Harp That Once Through Tara's Hall · The March Hare · The Minstrel Boy · The Mountains of Mourne · The Wearing of the Green · The Wild Colonial Boy · With My Shillelagh Under My Arm.